Hi everyone, I'm Amy. 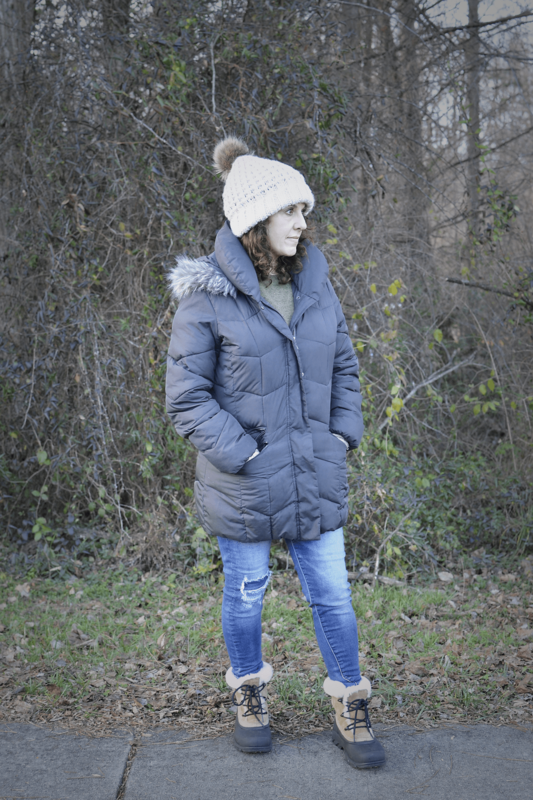 I'm so excited to be here on Wardrobe Oxygen to share some of my winter must-haves. I'm from Texas originally, so being here in the DC area is considered North for me. When we moved here I was so excited to experience the snow, but now I'm over it. Truth be told, I'm a bit of a hibernator in the winter. If I absolutely have to get out of my PJ's these are some of the items I consider absolutely necessary to make the winter tolerable. You will find me in my Uggs from the fall through the early spring. I know, some people think that over 40 is too old to wear Uggs, but if wearing them is wrong, I don't want to be right. I teach preschool, so I need something warm and comfortable. Uggs totally fit the bill. If we are having winter weather, I will throw on my trusty Sorels. Winter in DC means a warm coat and hat. I have naturally curly (which means a little crazy) hair and it's so easy to throw on my beanie and not have to worry about fixing my hair. This year, I am loving this pom-pom beanie from Abercrombie & Fitch. Everyone knows that sweaters are a winter staple, and these cashmere sweaters get me though the coldest of days. All I need to do is throw on a fun scarf and some cute gloves to help finish off the outfit. The second I am in for the day, it's comfy pj's and my Ugg slippers. I wear my slippers every day of the year. I know Ugg's aren't cheap, but when you wear them every single day they are totally worth the price. There's always one of these blankets on my couch for me to snuggle up in. They are so well priced, and wash up so nicely. I have them in several different colors. Another thing I couldn't live without is a cardigan. I am a fan of all the Barefoot Dreams products, and this cardigan is my favorite. You can't go wrong with any of their products! I just got a pair of their socks and they could not be any softer! My skincare routine has to be changed up for the winter. Winter really takes its toll on my skin, so I make sure to use products that help to keep me moisturized. My lips are permanently chapped in the winter, so using a good lip scrub is a must. I also love using a face mask periodically to help with my dry skin. It's not only my face that suffers in the winter, my legs get so dry and itchy. Thank goodness for this shower oil, it's definitely a must-have for me. 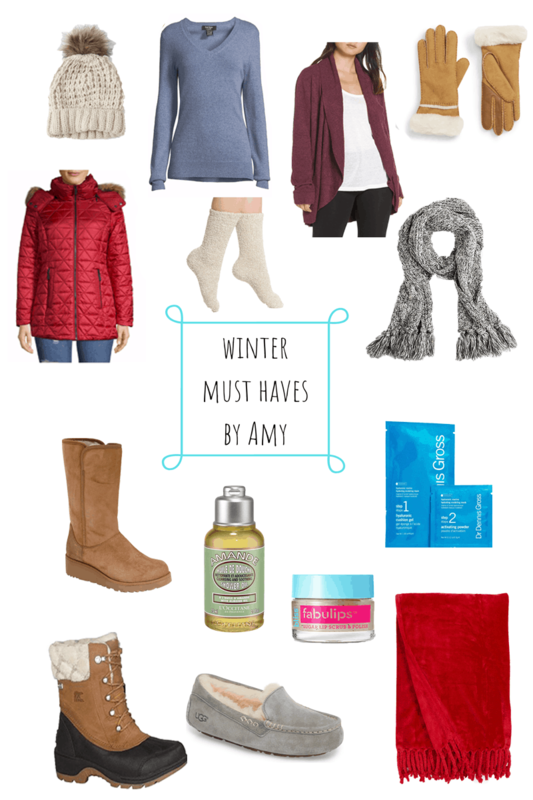 Hope these winter must-haves help you survive winter where you are. I just wanted to note that the cashmere sweaters are on sale today (Fri Dec 28) for $49!